To commemorate March as National Reading Awareness Month and underscore its continuing commitment to serving families throughout Harford County, the leadership team at Kiddie Academy recently joined The Upper Chesapeake Health Foundation to spotlight the importance of reading and impact books have on children’s emotional well-being. 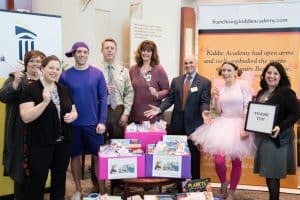 The donated books were collected as part of a recent book drive held at Kiddie Academy’s corporate headquarters and its flagship location, Kiddie Academy of Abingdon, to kick off its national sponsorship of PBS Kids’ Pinkalicious & Peteriffic Series and celebrate National Reading Awareness Month. Kiddie Academy students and staff donated over 300 books to the Foundation to be distributed in its Special Care Nursery and Children’s Center and the CLIMB Program. Bookmarks decorated by the Abingdon Academy’s preschool class were included in the donation made at the Upper Chesapeake Medical Center. Kiddie Academy executives join hospital staff at Upper Chesapeake Hospital for an in-kind presentation of the collected books. (Left to Right): Teresa O’Sullivan, Jennifer Thomas, Josh Frick, Greg Helwig, Michelle Byers, Mike Miller, Nicole Salla, and Crystal Clark. “We are so happy to have these books to share with our families, especially the families with substance exposed newborns. We encourage parents in our Special Care Nursery to read to their infants as it helps soothe them. Studies have also shown that reading in a gentle voice helps infants’ neurodevelopment, bonding and long-term cognitive abilities,” Nurse Manager Teresa O’Sullivan said. Michelle Byers, Cancer LifeNet oncology supportive care social worker, will distribute some of the books to children in their CLIMB Program. The in-kind donation was presented by Kiddie Academy Executive Chairman Mike Miller and company President Greg Helwig to Philanthropy Officer Crystal Clark of The Upper Chesapeake Health Foundation and other Upper Chesapeake Medical Center staff clinicians. 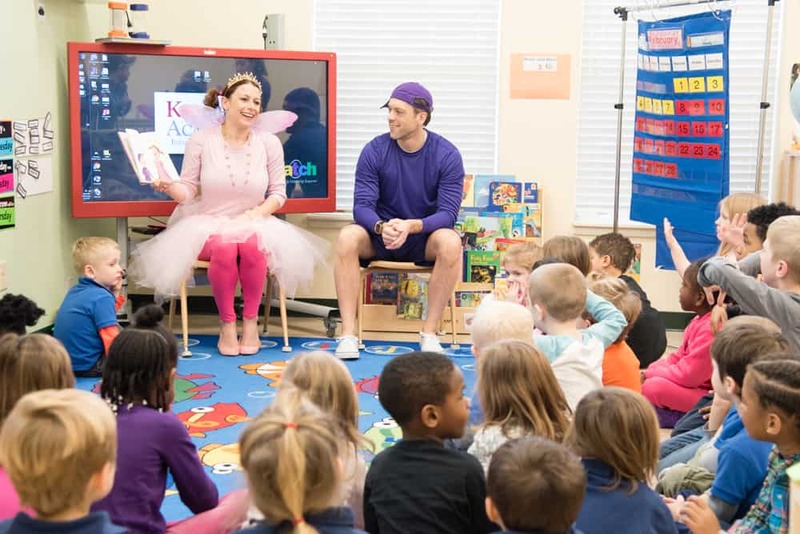 To make the presentation memorable, Kiddie Academy Vice President of Marketing Nicole Salla and Chief Development Officer Josh Frick came fully outfitted in festive Pinkalicious and Peteriffic costumes. “We are honored to be a part of this community—it’s been a part of our history and contributor to Kiddie Academy’s success,” said Miller, a Harford County resident.